Did you know that bed bugs can climb on walls to avoid even the bed bug traps? That's why we've reviewed the best bed bug traps the market has to offer to help avoid nightmares such as this. Click here to skip right to our top pick! What Are the Best Bed Bug Traps and Why? How Effective Are Bed Bug Traps? Are There Any Homemade Bed Bug Traps? What's the Difference between a Bed Bug Trap and a Bed Bug Interceptor? Even though they aren't known to spread diseases, a ﻿﻿study﻿﻿ by the University Of Pennsylvania Perelman School of Medicine has noticed that bed bugs may not be so benign, possibly spreading Chagas disease. This highlights the importance of comprehensive pest control with the help of traps. Bed bug traps have proven to be an effective and economical preventative measure against the fight against bed bug infestations. 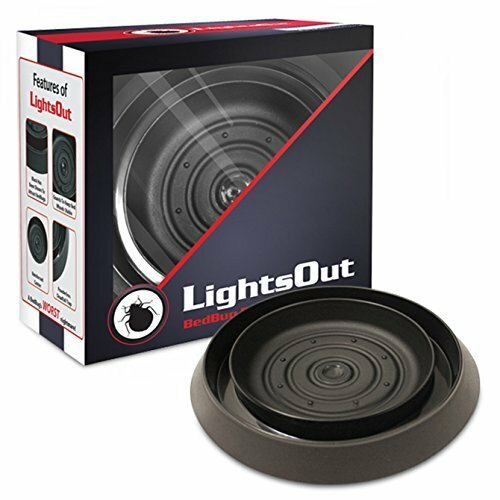 Are you looking for the best bed bug traps? Well you're in the right place! First of all, a bed bug trap is a preventative measure to protect you and your family from bed bugs. They are best used as tool to monitor if you have bed bugs, not as a bed bug killer (this is a common misconception). Bed bugs are not fleas – they aren't able to jump long distances. The usual mode of transportation for bed bugs is to crawl across surfaces. Bed bug traps are designed to intercept them. Read also: How do bed bugs move around? Bed bug traps resemble cups or bowls with rigid outside surface to let bed bugs climb up and a sleek, slippery surface to keep bed bugs from climbing out. Bed bugs aren't the best climbers, so this type of setup works well. Catching a bed bug in a trap to show an exterminator will help confirm you have an infestation and help get your problem sorted much quicker! Traps aren't that expensive and can be particularly effective for low-level bed bug activity. Many people use traps to prevent an active infestation, especially if they are traveling from a country that is recognized for poor pest control practices. Not only can a bed bug trap help reduce biting, but it can determine if you even have an infestation in the first place. The best bed bug traps are used as part of a larger treatment plan. 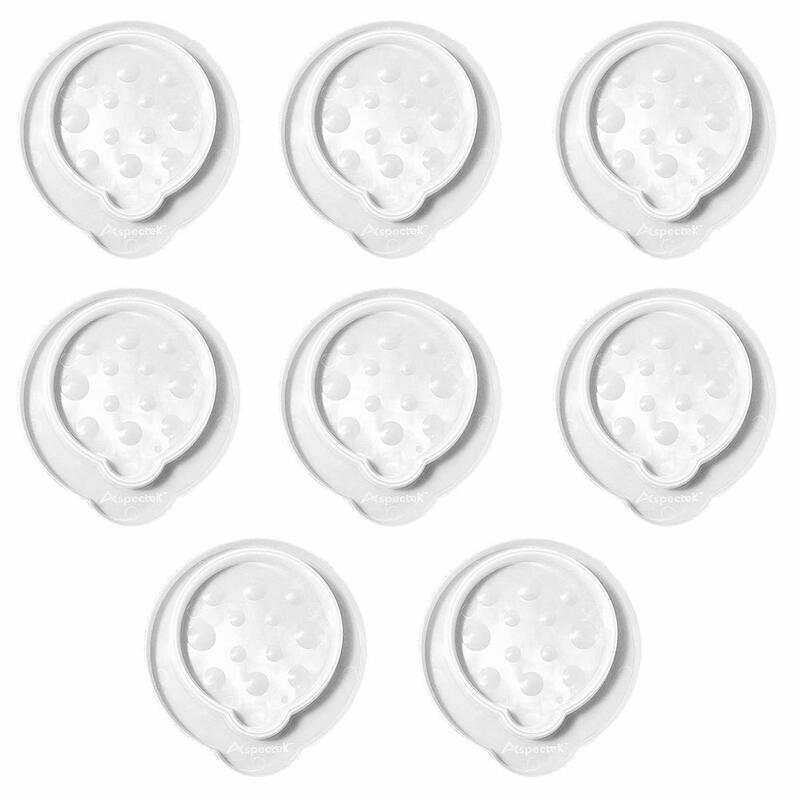 Most of the bed bug traps come in the form of a bowl with talcum powder to make it difficult for bed bugs to climb up the walls of the trap. These are designed to catch the bugs and trap it before they can get to you. Some traps that don't use powders still work, but it is best practice to line the inner cup with some kind of coating to ensure maximum chance of catching your bug. Bed bugs locate you from exhaled CO2. They will use the cover of night to get to you and your blood. As mentioned, they are forced to travel to your body by scaling the legs of your bed (assuming they don't already live in your bed). Many of these traps attach themselves to the bottom of the bed frame, creating a dead fall. The bed bugs will be able to climb in but not out, essentially trapping them. If your mattress if infested already, the bed bugs won't have to travel up the legs of your bed making the traps useless. This is one of the main reasons I recommend getting a mattress encasement for your bed. If your mattress is encased, you can use bed bug traps. Read also: What're the top bed bug covers to ensure bed bugs can't infest your bed? Aside from traps, other bed bug monitors exist (like these from Bird-X) that attract bed bugs into them to detect infestations before they get out of hand. Here's the thing – bed bugs aren't the brightest animals in the animal kingdom. Most traps will be effective for several months, capturing multiple bed bugs a night. The issues start to arise when your bed bug trap starts to crack under the weight of your bed. Like I mentioned earlier, the best bed bug traps are usually the ones that are most crack resistant. Some traps use crack resistant materials like polypropylene to withstand up to 800 pounds of weight. But again... if bed bugs have already infested your mattress, it doesn't matter how durable your bed bug trap is, it will not be effective. Invest in a mattress encasement and you'll be golden. The presence of bed bugs can be determined with the help of a homemade interceptor trap. They can be used to at least detect the presence of a possible infestation before you invest in conventional products, as they are easy to make. University of Florida has an instructional video showing how you can make a bed bug trap with the help of several containers, a glue gun, and tape. Take a look below to check out that video! We at Pest Strategies occasionally get questions when people are researching online about the differences between an "interceptor" and a "trap". Are they same or are they different? Answer... they are the same. They are just different names being used to describe the same product so don't worry! In this section we breakdown the traps we've looked at and provide all the details you need to know to ensure bed bug trapping success. 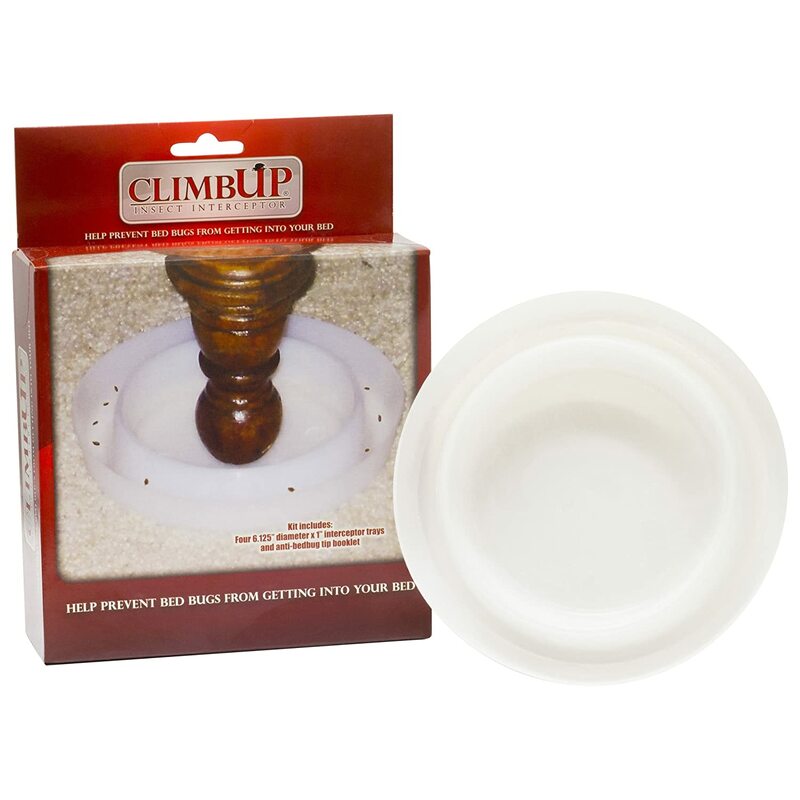 The ClimbUp bed bug traps is one of the most popular traps and highest performing products on the market, and one that I would highly recommend for people who have bed bug problems in or around their bed. The trap is made from a crack resistant polypropylene material, which ﻿has been rated as a stronger more flexible plastic. Despite the stronger material, it's best practice to place something sturdy under your traps if you have a carpet in your bedroom. We did notice that this product did not come prepackaged with talcum powder, so if you want to have an optimal bed bug trap, you'll have to shell out a few more dollars. Also, ClimbUp makes an "XL" version for beds with bigger posts. Comes in regular and XL version for multiple bed or furniture sizes. A new trap on the market is the Bug Snarer trap. 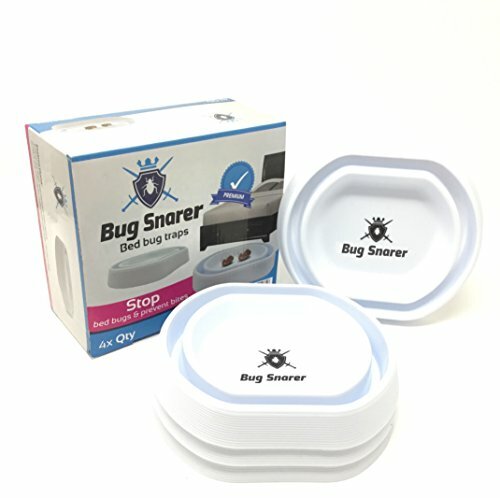 We recently saw it popup and are surprised at how well it addresses the needs of people who need a solid bed bug trap. The trap is made from a hard plastic bright white material with a 4-inch inner cup rated to withstand up to 800 pounds. Overall, there isn't too much different about this new trap vs other traps, but it has garnered positive reviews across the board. For us, it passes the two major tests (durability and smooth inner wall) for a trap, which means it really comes down to price and color. It looks like they only have a pure white model, which might be more aesthetically pleasing to some homeowners. It is worth noting that the cup size isn't huge like the XL ClimbUps noted below, but it should do the trick for most bed frames or furniture. The BEAP brand has really brought a quality product to market with these bed bug traps. 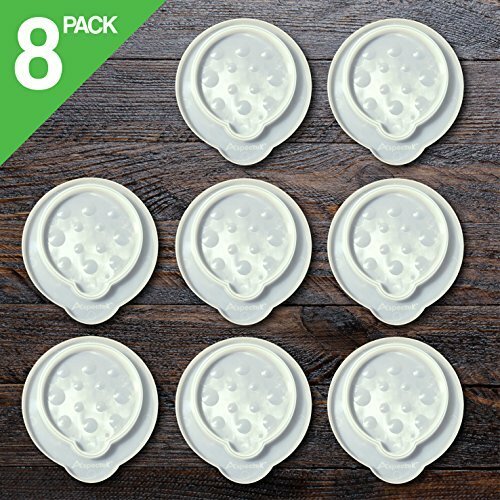 As opposed to other brands, these traps hold up well on carpet with little reinforcement (although i would still recommend grabbing a couple pieces of thin wood and placing them underneath). The only drawback we found for this product was that it was a bit slippery. For example, when used with living room furniture, the legs might slide to one side of the trap and allow the bed bugs to crawl up. It's a minor drawback but something worth noting. This is a talc-free trap with a large surface area, being able to fix itself under most bed frames. The 3.75" diameter platform will accommodate most bed frame stands, chairs, and furniture of different sizes, with a reinforced center that will stay stable for as long as you have the interceptor under your furniture. Seeing as how they're a bit smaller than other products in this review, your bed post "might" not fit in these if the diameter is less than 3.75". On the other side, the smaller diameter makes them a bit more sturdy and harder to crack. 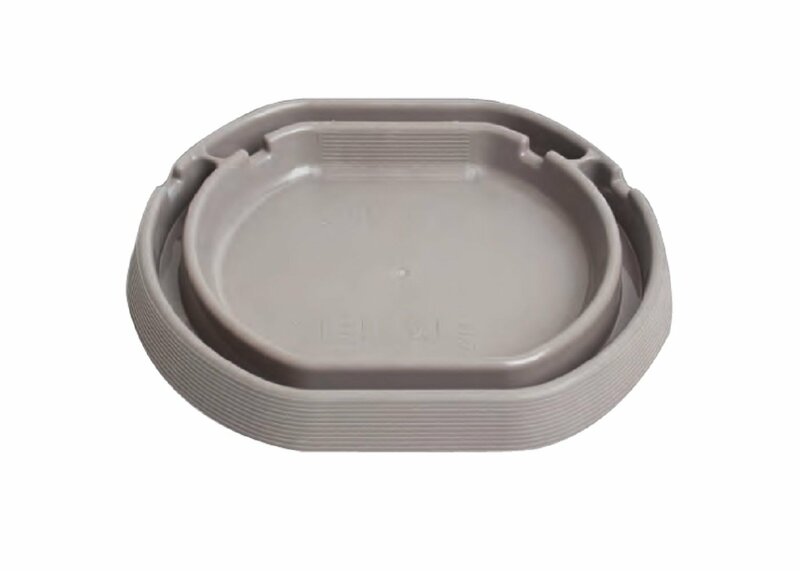 This is a pre-talc'd trap with grooved outer edges, and a uniquely designed center well to help with weight distribution. In theory, these bed bug traps seem great. The manufacturer touts a unique design that appears to help with crack resistance, but the jury is still out if the design is helping or hurting. What I do like about this product is that it comes with talcum powder already applied. This is great for some people who appreciate the convenience of both products sold together. 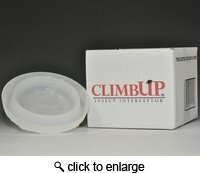 It seems that the bed bug trap market is dominated by the ClimbUp brand and for good reason. ClimbUp makes a quality product and multiple version for bigger and smaller bed post sizes. 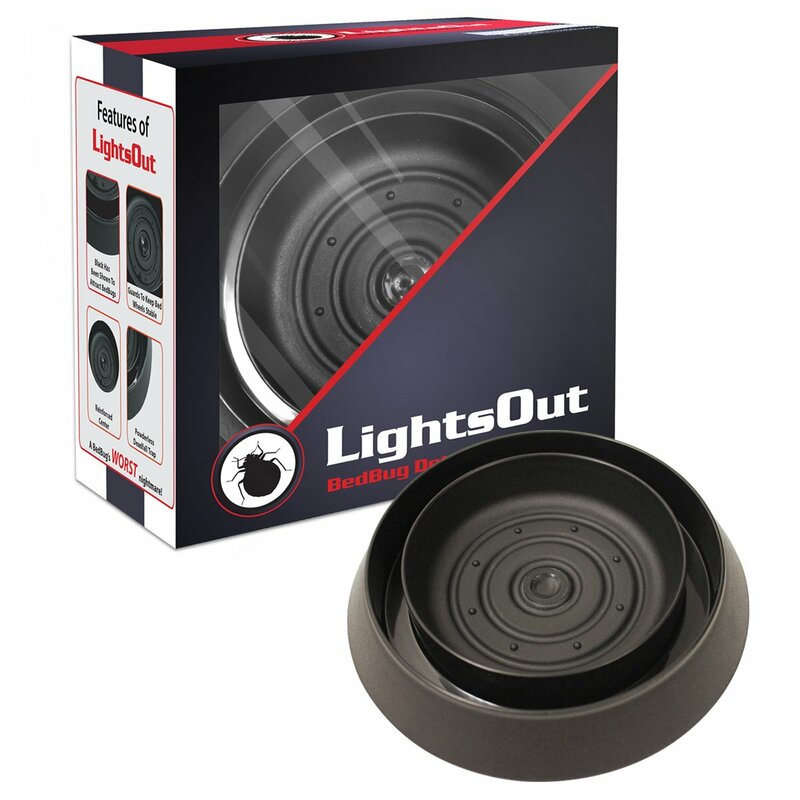 It comes with a pre-coated inner wall to ensure the bed bugs are captured with stepping through and is made with a polypropylene material to resist cracking. That being said, I'd recommend trying out the ClimbUp for a normal sized bed post (4" or less in diameter). Otherwise, I might opt for the XL ClimbUp. I went around and around in circles and they do not tell you the brand of the first black BB coaster. idiots.